Venue: The Club, Bukit Utama. 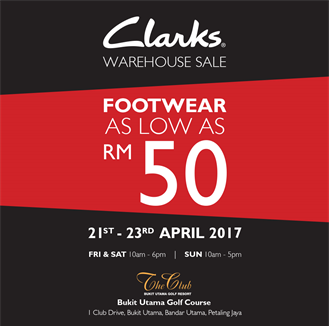 1 Club Drive, Bukit Utama, Bandar Utama, 47800, Petaling Jaya, Selangor. Visa / MasterCard credit cards for purchases above RM200. Only small bags and wallets are allowed at the sales premise.